One of the favorite things for Howard and everyone at the Mr. Food Test Kitchen, is when you, the fans, interact with us! We love hearing your thoughts, ideas, and constructive feedback, not only so we can improve Mr. Food for you, but because we love to see how Mr. Food impacts your life. That’s one of the reasons Howard decided to do the Patriotic Dessert Contest. He wanted to see the creativity of people across America and how they incorporated that into a Patriotic Dessert.We all loved seeing the entries. We awed over them, we drooled over them, but ultimately, after a long, hard debate, we could only choose one winner. 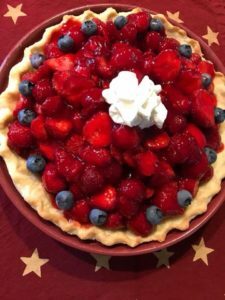 Patriotic Dessert Contest: Winner Announcement! Wanda Hendrickson’s mixed-berry pie was absolutely gorgeous! After getting in contact with her, and getting the recipe, we knew it would be a hit on the website! So, without further ado, let’s get to know a little bit about her! MFTK: Hi Wanda! Thanks for chatting with us today. Why don’t you start off by telling us a little about yourself and how you started cooking/baking? Wanda: My mothers love of baking influenced me. She was a scratch baker from the get-go. Bread, pie crust and biscuits were her specialties. I now make (from scratch) breads, pie crusts and biscuits. My mother watches over me now. She passed away in 2009. MFTK: It sounds like your mom was a great woman, who passed some amazing baking skills onto you. She is, no doubt, very proud of your win. Okay, Wanda, how long have you been a Mr. Food Test Kitchen Fan? How did you find out about us? Wanda: Bought my first Mr. Food magazine at a local supermarket. It was LOVE at first sight! Easy recipes with normal ingredients that I had in my cupboard. My kind of recipes! I have in my collection of books and magazines, several Mr. Food magazines dating back from 1997 to 2000. MFTK: We love hearing the ways the Mr. Food Test Kitchen has been a part of peoples’ lives, and we’re so glad that it was love at first sight! Over the years though, you have to have found a recipe that’s your absolute favorite? 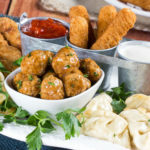 Wanda’s Favorite Mr. Food Recipe! Wanda: No question! Death by Chocolate, Mr. Food 1997. MFTK: Who doesn’t love Death by Chocolate? It’s one of our most popular recipes, and the entire Test Kitchen gets excited when we get to whip it up. 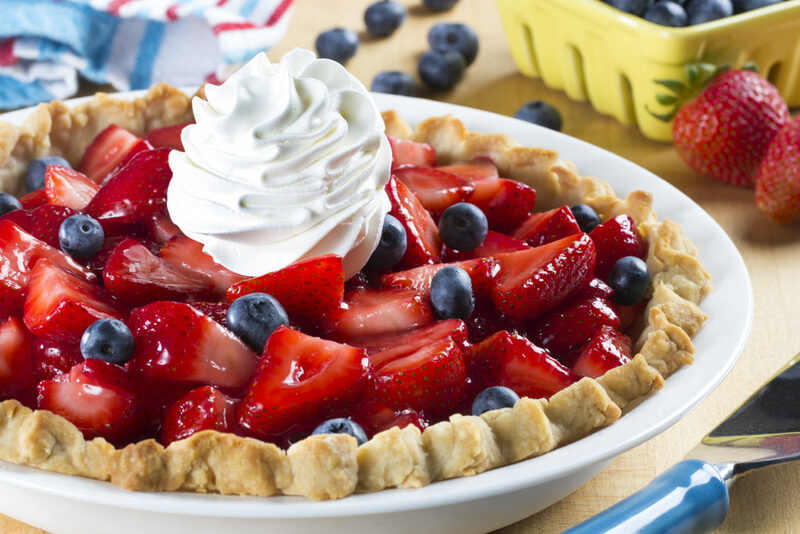 Tell us what inspired your Ooh So Easy-Fresh Strawberry Pie? Wanda: My Ooh So Easy-Fresh Strawberry Pie is a tradition that I make every year after picking fresh strawberries at a local U-pick field. We have high bush blueberries we pick in our own backyard that I used to decorate around the pie crust. This year we picked 12 quarts of strawberries. 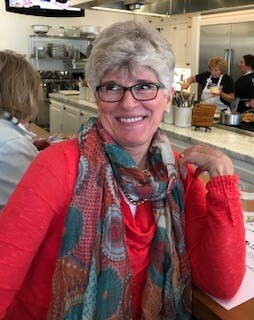 Alright, Wanda, can you share your best baking tip with our readers? Wanda: We didn’t have a lot growing up but my mother stressed to only use the best ingredients that you can afford: real vanilla, real butter, unbleached flour, just to name a few. MFTK: That’s a great tip! Thanks again for entering our Patriotic Desserts Contest. 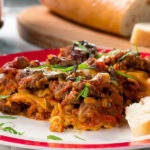 We’re so glad to have your recipe as a part of our site! Before you go, is there anything else you’d like to add? 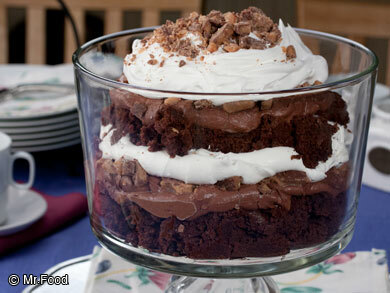 Wanda: It’s an honor to be chosen winner for Mr. Food Patriotic Dessert Contest. I posted a picture of my pie to your Facebook page because I wanted to share my beautiful creation. Never in a million years did I imagine that I would win your contest. MFTK: Thanks for joining us today, Wanda! We know the Mr. Food Fans are going to love your creation as much as we did! Ooh So Easy-Fresh Strawberry Pie! If you missed our Patriotic Dessert Contest, that’s okay! We’ve partnered with the Watermelon Promotion Board for a contest! The grand prize winner gets $500 and their recipe featured on the Mr. Food TV Show!